Trying to make lifestyle changes to improve your health and lower your weight? While the list of healthful changes is long, there are a few that stand out and will have an enormous impact on your life and your efforts to lose weight if you focus on them first. Reduce alcohol consumption. While evidence suggests that the antioxidant properties of red wine may have a positive effect on your health, the overall effects of alcohol are far from positive. Alcohol has very little nutritional value and each glass is packed with unnecessary calories. Excessive drinking is linked to a myriad of social, psychological and physical problems. Start exercising. Leading an active lifestyle helps you feel younger, look better and improve your mood. If you think you are already active, current guidelines for exercising suggest you should be doing two and a half hours of moderate intensity exercise and two sessions of muscle strengthening exercises each week. Get enough sleep. Too little sleep and you may be at risk for depression and gaining weight. Too much sleep and you may not live as long. On average, adults need about 7.5 hours of sleep each night. Stop smoking. Cell damage, heart disease, lung cancer, and nutritional deficits are all proven consequences of smoking. 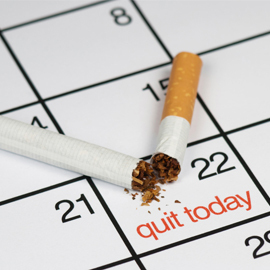 Modern smoking cessation therapies are sophisticated and effective so there really is no excuse to keep smoking. Learn to relax. Stress is a complex response within your body to almost everything that happens around you. Modern living places us in a state of almost perpetual stress. Learning to slow down and relax will help your body return to a state where stress hormones are no longer affecting your mood, relationships, and health.